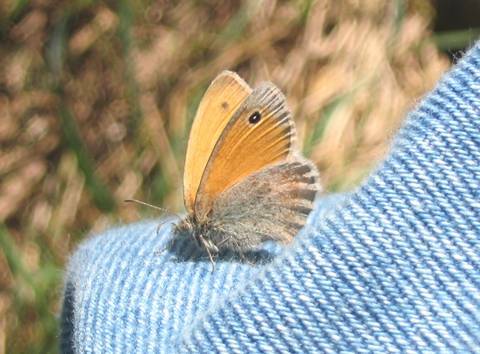 The Small Heath is very common and easy to observe throughout the flight period albeit scarcer in October. 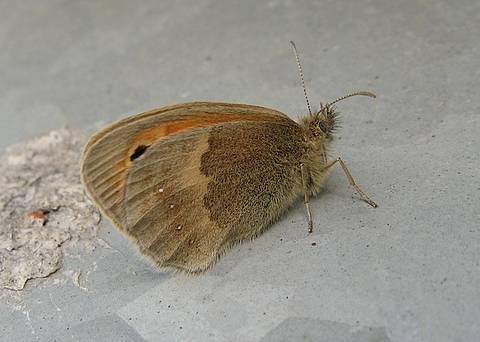 It is a small butterfly which flutters along very close to the ground and always settles with its wings closed. 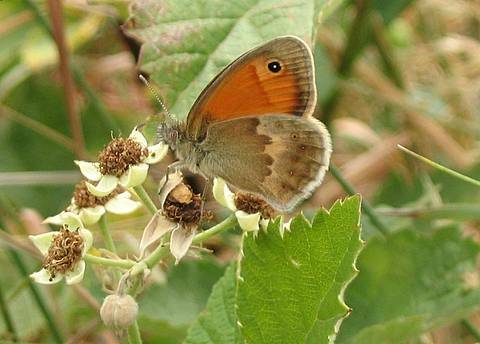 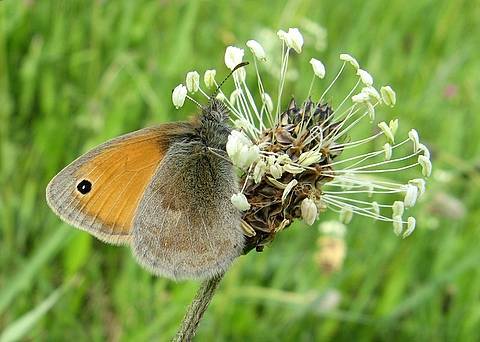 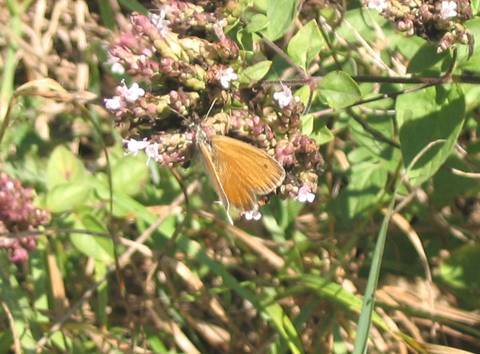 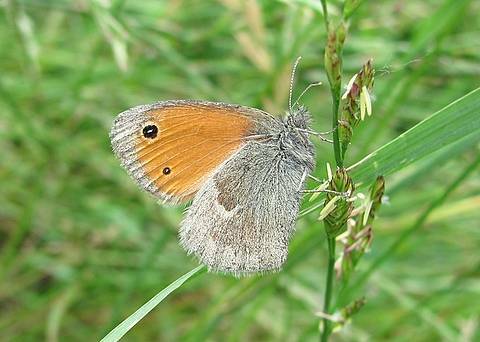 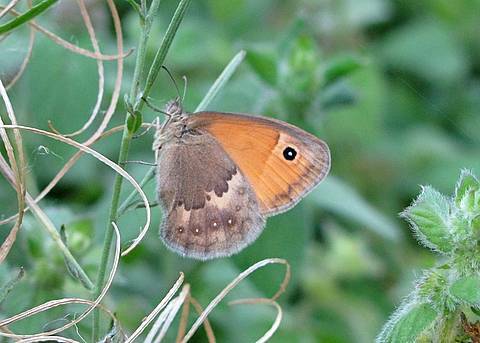 It superficially resembles a Meadow Brown in photographs but the difference in size avoids any confusion in the field. 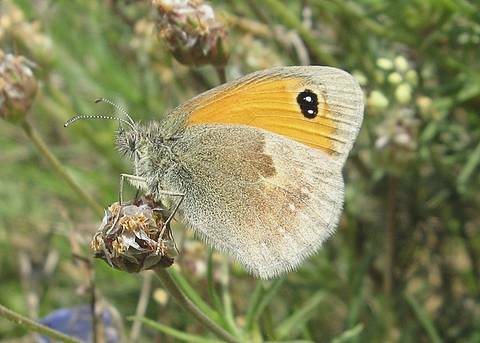 In late August and early September the species is especially abundant and hoards of them can be seen around flowering mint and thyme. 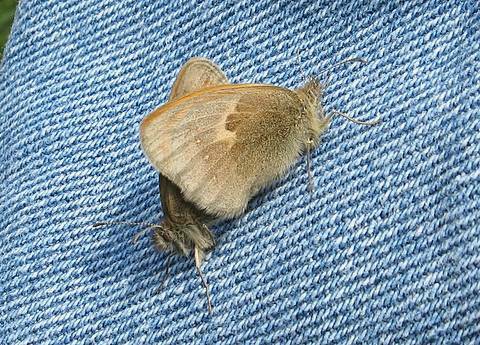 The underside of the hindwing is prone to a certain amount of variation with regard to the discal creamy stripe as can be seen from this set of photos. 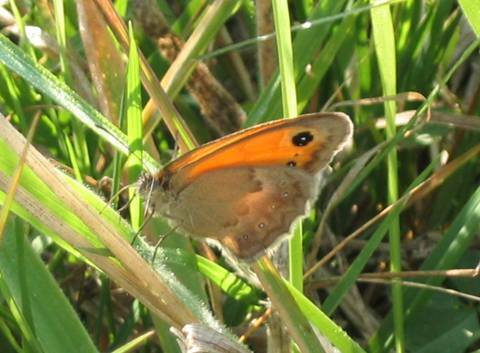 The extra ocelli on the forewing are more exceptional.